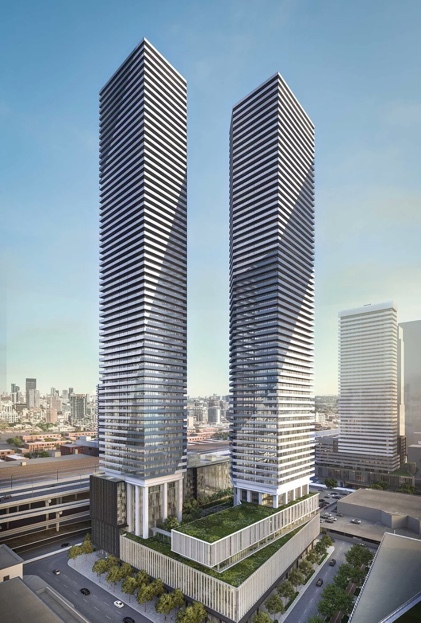 Located at the juncture of Cooper Street and Lake Shore Boulevard, Sugar Wharf Condos is a multi-phase pre-construction condo development set for completion in 2022. 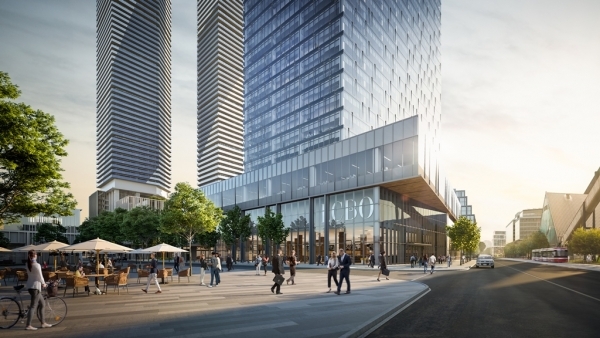 The first phase will be two towers at 65 and 64 storeys respectively, sharing a common podium that will serve as the base of the nearly 1,600 unit condo development. The sleek white double towers will offer unparalleled views of Lake Ontario on one side and the Toronto city skyline on the other. 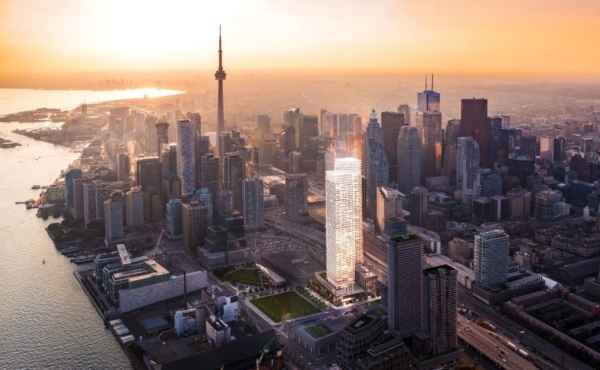 Sugar Wharf Condos will have future phases that is expected to bring three more residential towers at heights of 77, 87, and 90 storeys. Buyers and investors will have the option to buy a one bedroom, one bedroom plus den, two bedroom or three bedroom layout. 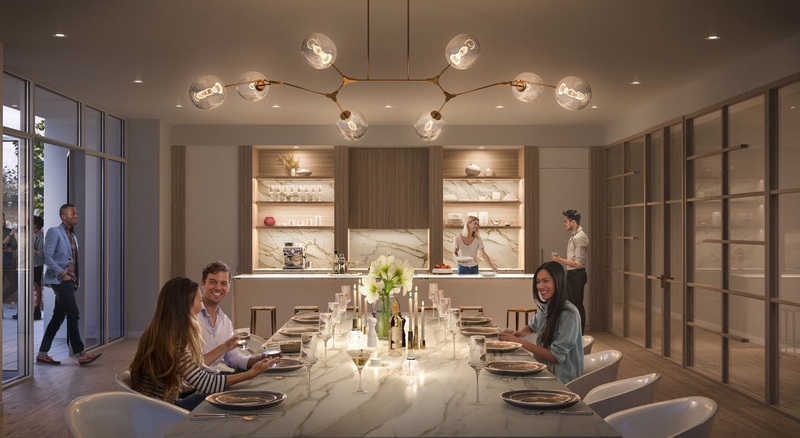 Embracing technology, suites will be designed with multiple USB wall plugs throughout as well as implementing a near field communication which allows you to open front doors with your phone instead of a fob. Sugar Wharf Condos are designed with families in mind as the demand for urban family life increases. 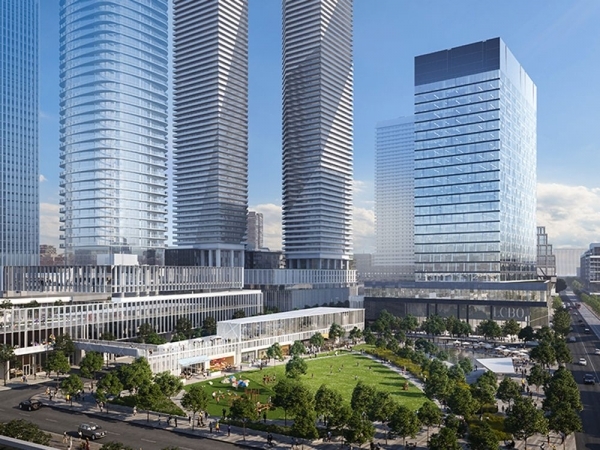 Not only will many of the amenities be designed for kids, but elevators will be sizeable enough to accommodate strollers and lobbies will even have designated stroller parking areas. With the increasing number of families coming to this area, the developers of Sugar Wharf have also planned to build a new public school and a day care centre all within the 11.5 acre development to make living downtown as convenient as possible. 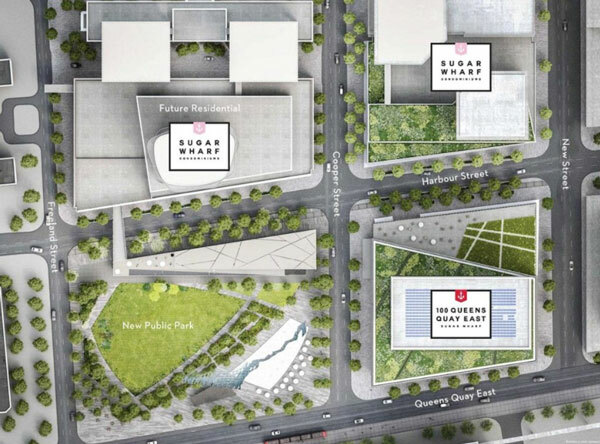 The Sugar Wharf Development is more than just new residential, it is a master-planned community. 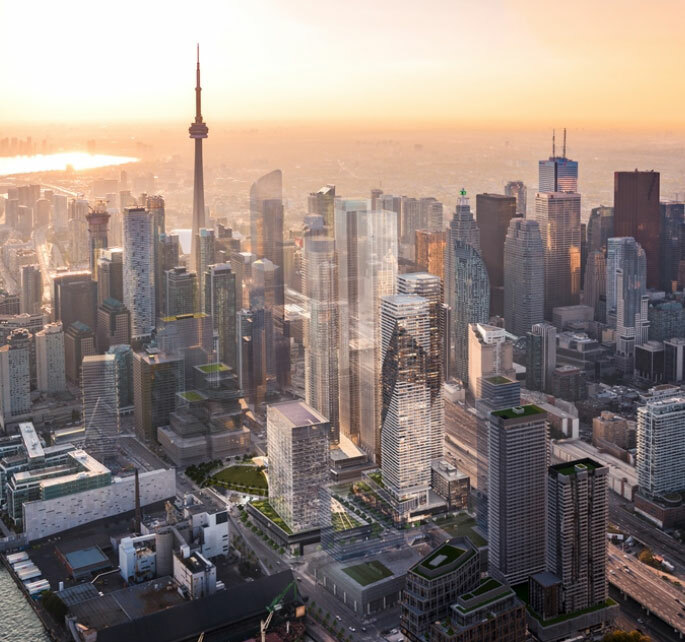 Over the next few years of development there will be a new 2.5 acre park, 3,000 square feet of retail, a 690,000 square foot office building, and a direct connection to Toronto’s PATH system.